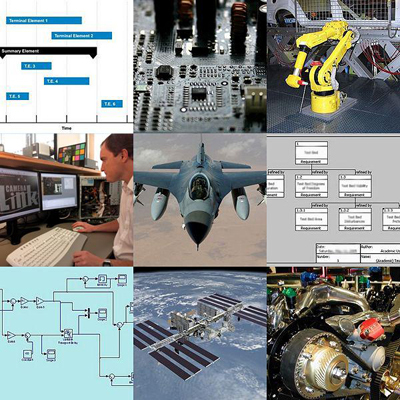 Innovative Applied Sciences offers a variety of Systems Engineering services that are tailored to the specific needs of the customer and the embedded and/or realtime system. Services include Technology Assessment, Vendor Selection, System/Sub–system specification, Implementation, Test, System Integration, and Life–Cycle Support. Innovative provides the core competencies and in–depth expertise necessary to successfully develop, integrate, manage, and sell commercially viable technology products, while reducing overall costs, improving quality, and reducing time to market. Innovation does not mean ad–hoc. Our system development process is disciplined and methodical, allowing us to bring critical, innovative thinking to advanced product development. Our services begin with the client’s requirements, as they are known at the launch of the project. Innovative’s Principal Engineers will analyze the requirements to identify gaps, high–risk areas, and the project’s fundamental design goals. After completing the requirements analysis, Innovative will create an initial design specification and cost projection. The specification discusses third party hardware and software components that have been selected for the system, existing software that would be migrated to the new system, and new software that would be developed. The project’s high–risk areas receive special attention with Innovative’s approach to prevent or mitigate the cost and schedule hazards they represent. Complex systems and application requirements often demand a real–world assessment of a design approach before full scale development is undertaken. Innovative believes strongly in prototyping a system to test key elements and facilitate group assessment of the design, implementation path, and the final system that is likely to result from the specification. Prototyping allows all stakeholders to reassess and adjust the specification where necessary before expensive full–scale implementation begins. Innovative will often develop a series of rapid prototypes to evolve the implementation one step at a time. Each incremental step provides Innovative with feedback and gives the client the opportunity to evaluate Innovative’s progress and design approach. Realtime and embedded systems rarely, if ever, function as standalone systems. 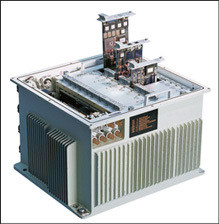 They are usually a component in a larger network, process, or device. Innovative’s services include the vital work to integrate the new system into the larger environment. The new system is delivered and physically installed, the software configured, and the data I/O connected. On–site testing is conducted to insure full operational status against the system’s specification. Integration problems are addressed and resolved by Innovative’s engineering and delivery teams. Realtime and embedded systems often have long life–cycles that demand on–going support. Components of this service include bug fixes and minor enhancements under warranty, up through 24/7 on–site response times and multi–year support agreements. The support plan may include product roadmap development and planned technology refresh cycles.